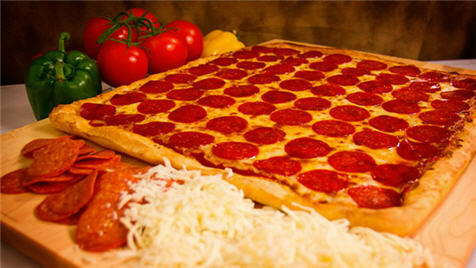 What does an East of Chicago Pizza Franchise Cost? Open East of Chicago Pizza in any of these available states: AL, CT, DE, FL, GA, IL, IN, KY, LA, ME, MD, MA, MI, MS, NH, NJ, NY, NC, OH, PA, RI, SC, TN, TX, VT, VA, WV, DC. In 2008, Tony Collins, a multi-unit operator, purchased the franchise. Tony's vision for the East of Chicago brand centered on the drive and success of existing operators. "It started with engagement of the owners across the board," Collins said. "We looked at each operating unit and completed over 200 store visits in order to establish our vision and company goals for the next five years. Plus, we invested heavily in training and operational systems while securing national distribution channels." 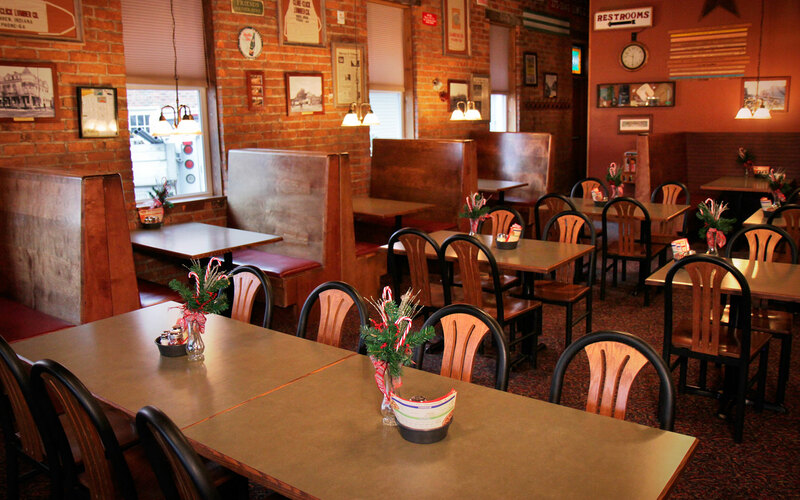 Today, East of Chicago Pizza is recognized throughout the Midwest for our specialty pizzas, delicious subs, and signature wings. In the next five years, the company plans on reaching a total of 150 units and growing the corporate structure to provide continued support to the franchisee in all aspects of development, training and operations. The drive and success of existing franchisees are major aspects of East of Chicago's future growth plans. "You have to see beyond initial investment and want to grow larger with us," said Collins, noting the brand emphasizes there is a huge opportunity for aggressive expansion in key territories. "We look for potential franchisees who have great passion, a background in restaurant management, or, ideally, a multi-unit operator." Opening an East of Chicago Pizza franchise does not require past experience. If you have experience, it is an advantage since you already understand the time commitment and what it takes to be successful. If you don't have experience, you are in a great situation since you don't have any pre-existing ideas about what you should be doing. Our experienced team of support personnel will help you make the most of your time and answer any questions. Plus, you can take advantage of the experience and wisdom of our franchisees, area developers, and our vendors. Successful franchise operators are unanimous in their belief that working with people, building our Brand value and a commitment to our founding core principles are the best attributes for any potential franchise owner. If you are interested in finding out more about this exciting opportunity, please fill out the short form below. We look forward to speaking with you! Thorough training- You and your designated operator or manager will receive complete training. The month-long training program covers all aspects of preparing, opening and operating the restaurant. Marketing assistance - You’ll have access to our proven tools and strategies for attracting and retaining customers. Our staff will help you develop your marketing plans and budgets for your grand opening as well as your ongoing marketing efforts throughout the year. Choice of store designs - Both dine-in with buffet units and delivery and carryout (DELCO) units are available within strip malls or as stand-alone units. Real estate assistance - The East of Chicago staff will help you to find the right location and negotiate the best possible deal on your site. Construction assistance - We will assist you in the design and layout of the restaurant. We will also guide you in the selection of the right contractors to do perform build out, as well as making sure you get the exact mix of furniture and equipment you need to maximize the efficiency of your restaurant. Purchasing power - You will be able to take advantage of the buying power of the entire system. East of Chicago has aggressively negotiated with vendors to provide you with savings on everything you need to operate your restaurant. The pricing our franchisees receive are at significantly lower levels than you could achieve as an independent operator. This applies not only to initial furniture and equipment purchases, but also to the supplies, inventory, uniforms and everything else you'll need on an ongoing basis. Protected territory - A protected market area is established for each location. Ongoing support - We will continue to provide ongoing support services to you by phone, e-mail, and periodic onsite visits to your location. We will also provide you with access to our online support website. We also regularly update our operations manual with new information. Franchise ownership opportunities are available for single units or multi-units, and area development and master franchise opportunities also exist. dough fresh daily and I really believe that is our winning ticket.